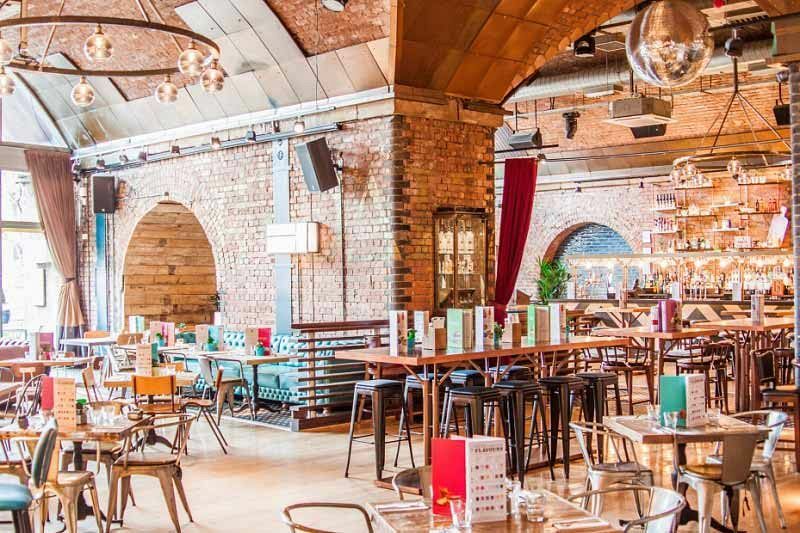 Are you looking for a more informal, relaxed office Christmas party, this winter? 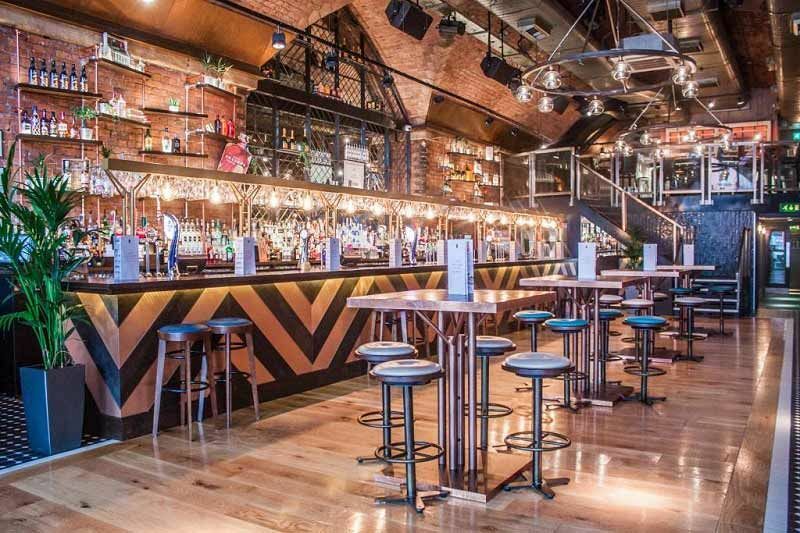 At this vibrant Bar in Manchester, we know that Christmas is the number one event in any business' social calendar. That's why we strive to make sure your event is extra special! 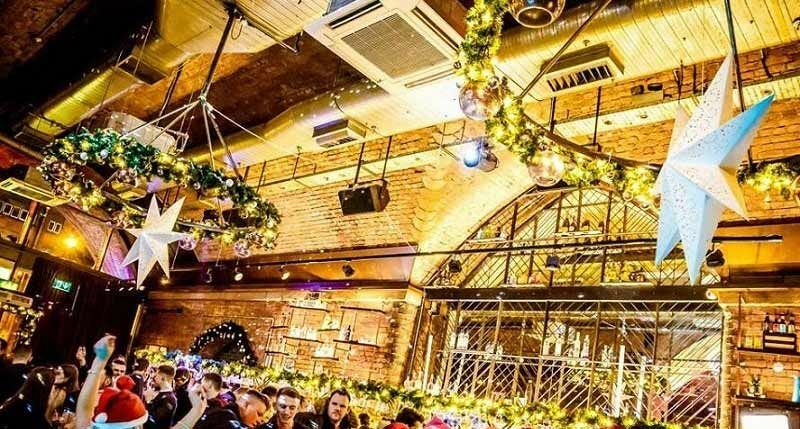 Kick off your event with a glamorous Prosecco reception, which will give you the chance to catch up with friends and colleagues amidst glittery Christmas theming. Our fabulous mixologists will give you and your guests a choice of some of the finest cocktails, if you're looking for a bit more of a boost! We will then show you to your beautifully bedecked tables, where you will be served only the freshest of seasonal specialties in buffet form. As for food, make sure you're hungry as this festive buffet is seriously good! With meat, fish and vegetarian options available, there will be something here that everyone will love. So grab a plate, make an orderly queue and get ready to load your plate up for a mouth-watering feast! Drink vouchers will also be included for guests to use at the bar against a wide choice of wine, beer, spirits and soft drinks. If you'd like to include cocktails, then this can be arranged for an additional cost per person. 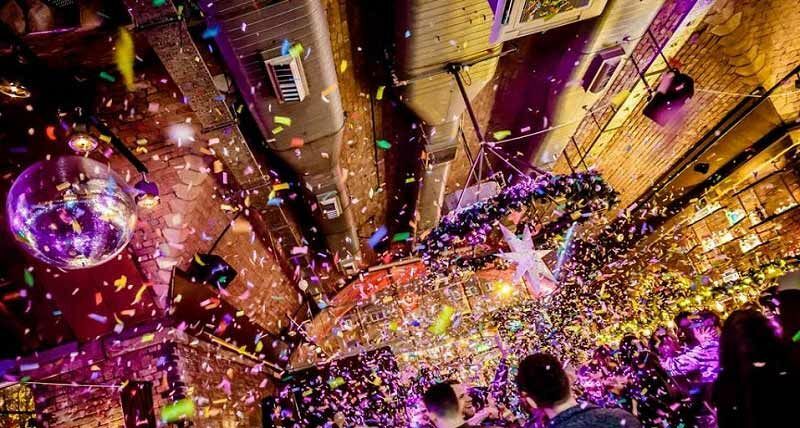 After dinner, dance the night away with the top entertainment and round off the end of the working year in style!